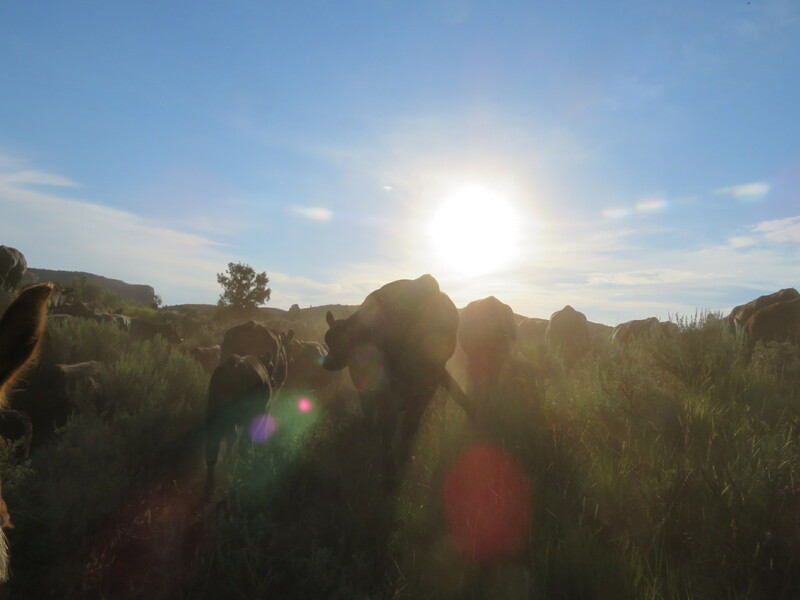 When it’s getting into the 90’s during the day, you move cows at sunrise to try to beat the heat. Lately, some of the mornings haven’t been that cool, either. The ol’ girls know it’s cooler up high, so they’re pretty ready to hike uphill! Thank goodness! 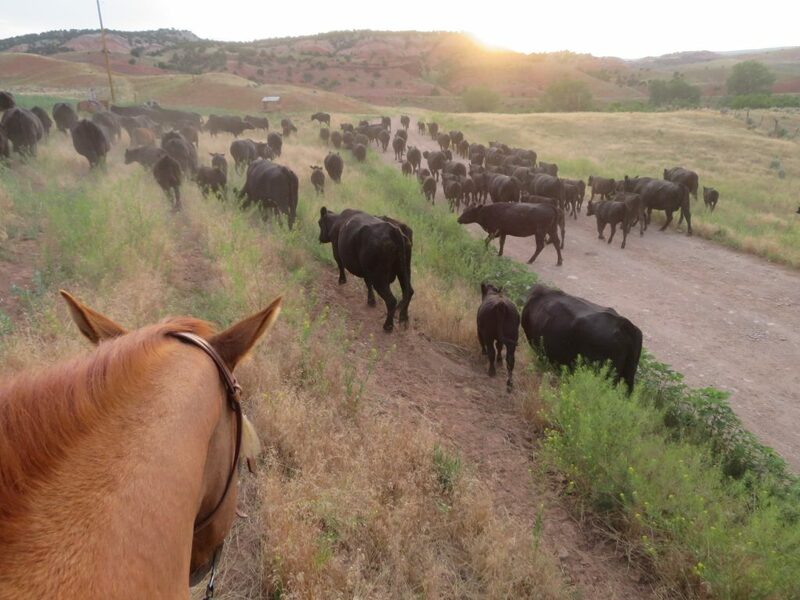 happy cattle & sunrise, perfect! I Love the between the ears pictures. A BIG Thank You!! Your amazing.